Breakfast is considered to be the most important meal of the day. When you mention breakfast and jam together, most people just think of jam on toast. Well, here at Single Variety Co we’ve been thinking about our top 5 ideas of how to kick start your day with delicious ways to use jam at breakfast. Dollop your favourite jam on top of porridge. We find our Ben Starav Blackcurrant Preserve works really well here. Add jam to your yoghurt and granola to give it a fruity twist. 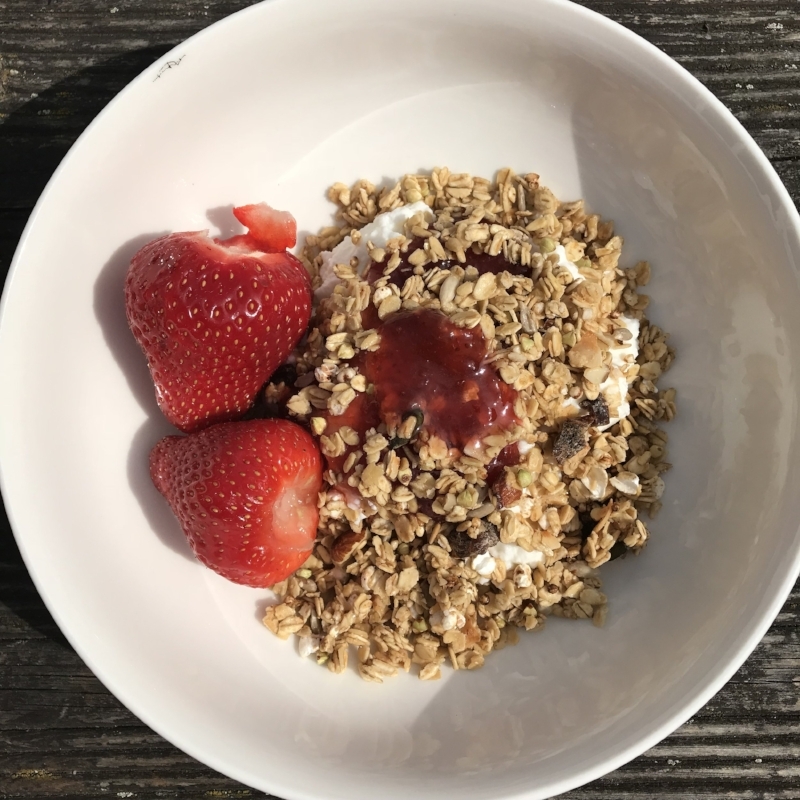 Our favourite combination is Husk & Honey granola, with thick Greek yoghurt and a generous helping of our Flair Strawberry Preserve. This is the ultimate weekend treat breakfast. Smother jalapeno jam over sausages in thick slices of sourdough bread. Keeping on the sourdough theme, top some toasted sourdough bread with smashed avocado, slices of smoked salmon and finish off with our super fiery Lemon Drop Chilli Jam. This breakfast will definitely wake your taste buds up in a morning! After all that, we think you’ll need something to wash it down with. Blend a spoonful of jam with fresh or frozen fruit. I love our Maravilla Raspberry Preserve blended with frozen mango, banana and some coconut milk. Hopefully this has given you inspiration to try something different with your jam at breakfast. We’re working on lots of new jam ideas in 2019 to share with you, so do keep checking back for more.